The Country Barn is owned and operated by Jim Stauffer, whose family has been tilling the farm’s soil for three generations. The feature building of the Country Barn property is our big yellow barn and was built in 1866. Initially the farm mainly raised beef, tobacco and potatoes; however changing economics led Jim to consider other potential markets. Over time, he diversified the crops he was raising to include a wide variety of fresh produce including tomatoes, sweet corn, asparagus, lettuce, potatoes and much more. In 1986, Jim built his first retail farm market to provide local families with high quality, freshly grown produce & grass fed beef. As demand for fresh, local food increased, Jim saw the need to expand and the current Country Barn Farm Market and greenhouse were built in 1999. He added from scratch baked goods, housewares, gifts and more to meet the needs of his local customers. No Farm Market is complete without pumpkins for the fall. And while customers enjoyed getting their pumpkins from the Farm Market, Jim realized what they really wanted was the experience of picking their own pumpkin right from his field. In 1996, Jim began allowing families to venture through his pumpkin fields. Soon wagon rides were needed to transport guests to and from the fields and the Country Barn Farm Market grew into one of the most popular pick your own pumpkin destinations in Lancaster County. Pumpkin picking led to further diversity for the Country Barn Farm Market. Customers were having fun in the fields, but they were eager for even more adventures on the farm. In 2000, Jim started his very first corn maze. A simple wagon wheel pattern challenged guests and started what is now called, The Barnyard Kingdom. Over time the Barnyard Kingdom expanded to include a petting zoo, wagon ride, giant slides, gem mining, a fossil dig, hedge maze and more. In 2005, The Country Barn opened Lancaster’s First Pig Show – which was a real treat for guests (and the pigs, who enjoy an Oreo cookie at end of their high speed race to the finish). Guests have delighted in the authentic farm experiences the Barnyard Kingdom has to offer. On the farm, 2005 was an exciting year for the Country Barn for reasons beyond the Pig Show. A customer asked Jim if he would consider allowing her to host her wedding reception on his farm. He agreed. The event was such a success for the guests and such fun for Jim, he decided to finish the bottom floor of the main barn and begin hosting weddings. In 2007, he headed off to his first Bridal Expo and things exploded from there. He went on to finish the top floor of the main barn and a second barn to host weddings and corporate parties. Guests are delighted with the beauty and authenticity of the farm. The meals served at the weddings & other events include fresh meats and produce raised right on the farm. In 2007 the Manor View Inn opened, operated by Jim’s parents Jay & Miriam Stauffer. 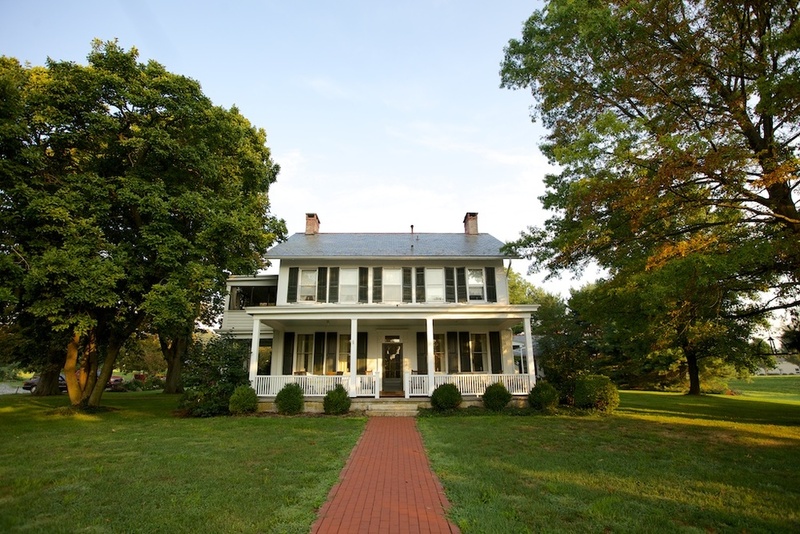 The Country Barn’s historic 1800’s farm house was fully restored and decorated with period furnishings. Rooms and Suites are available, all with private baths and a delicious full course hot breakfast each morning. 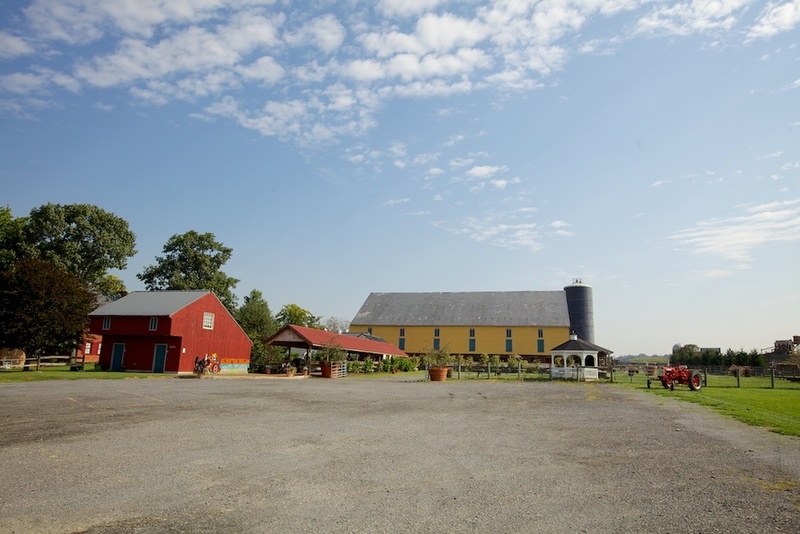 Guests enjoy the tranquil beauty of Lancaster County farmland and explore the many activities offered by the Country Barn property. Pumpkin Picking was such fun for his customers; Jim decided to designate a portion of the farm to growing Christmas Trees. In 2000, Jim planted his first round of trees, and in 2008, they were ready for cutting. Families have been flocking to the Country Barn to get their Christmas trees ever since. An avid Country Line Dancer, Jim began hosting country line dancing in the main barn in 2003. This was as much for his own fun as it was for his guests. What started as one Saturday night a month has now grown into dancing hosted every Tuesday & Friday with live DJ’s on a beautifully finished hardwood dance floor. To encourage more people to join in on the fun, the first Tuesday & Friday of each month are dedicated to helping beginners learn the steps. By staying true to its farm culture, The Country Barn has come to offer a variety of authentic, fun farm experiences for guests of all ages.